Welcome Nick and Pete Bujnowski And Their Rarin’ To Go Wildfire! Now Showing… Johnny Dark Race Scenes in High Definition Too! The Woodill Wildfire Brochure: You Can Build America’s Sport Car Today! Woodill Wildfire Logos Are Here!!! Woodill Wildfire Logos Are Here!!! 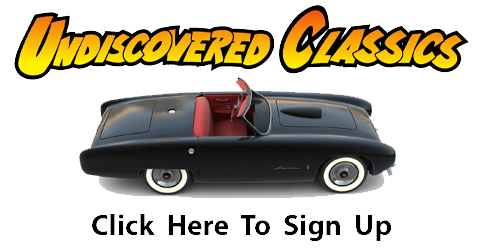 1953 Petersen Motorama: The Fiberglass Invasion! Lost Car: Where is The “Ken Mace Woodill Wildfire”??? ?